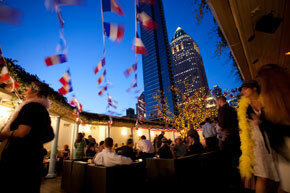 What makes this event the official Bastille Day Ball? It is organized by the Committee of French-Speaking Societies, one of the oldest and most noted associations of its kind. The event is held under the auspices of the French Ambassador to the US, the French Ambassador & permanebt Representative of France to the UN and the French Consul General of NY, as well as New York City officials. Yes, any ticket level may be upgraded at the door by paying the difference in cash. Mais bien sur! 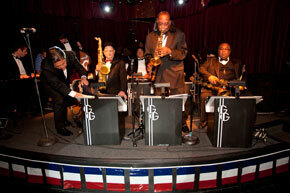 We will have a live orchestra and a DJ playing French and American favorites for your entertainment. Will food will be served? The VIP ticket includes a buffet.